222 Commonwealth is located on the south side of Commonwealth, between Exeter and Fairfield, with 220 Commonwealth to the east and 224 Commonwealth to the west. 222 Commonwealth was designed by architect William Whitney Lewis and built in 1879-1880 by Woodbury & Leighton, masons, and John Morrison, carpenter. It was one of two contiguous houses (222-224 Commonwealth) designed by William Whitney Lewis but built by different builders. 222 Commonwealth was built as the home of Benjamin Franklin Guild and his wife, Mary Caroline (Whittemore) Guild. They previously had lived at 308 Columbus. He is shown as the owner of 222 Commonwealth on the original building permit application, dated May 14, 1879. Benjamin Guild and his brother, Curtis Guild, Jr., were publishers of the Commercial Bulletin. Benjamin Guild purchased the land for 222 Commonwealth on May 10, 1879, from the National Bank of Commerce of Boston. It was part of a parcel the bank had acquired on May 18, 1876, from Nathan Matthews, which, in turn, was part of a larger tract originally purchased by Nathan Matthews on January 2, 1871, from David Sears, Jr., Frederick R. Sears, and Knyvet Sears. Click here for an index to the deeds for 222 Commonwealth. Benjamin Guild died in August of 1902. 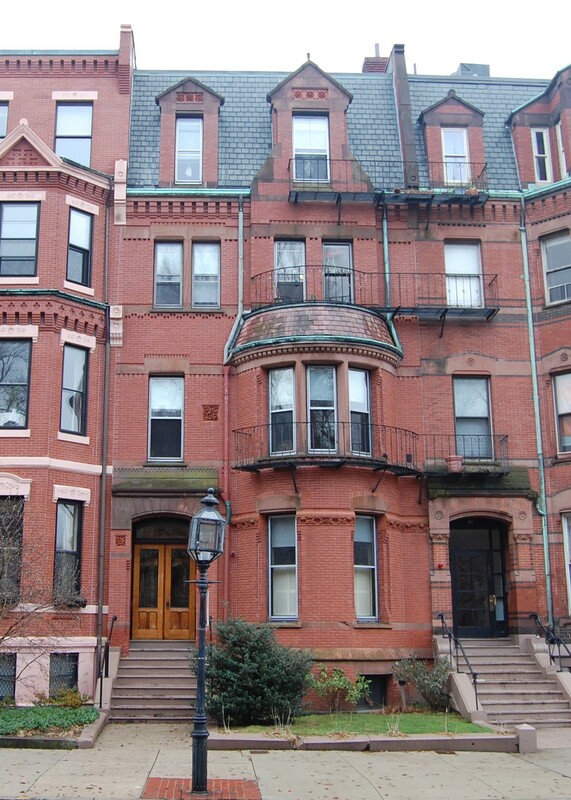 Mary Guild continued to live at 222 Commonwealth with their two daughters, Mary and Helen. By the 1913-1914 winter season, they had been joined by Mary Guild’s unmarried brother, George C. Whittemore, a stationer. He previously had lived at 246 Newbury. George Whittemore died in May of 1927 and Mary (Whittemore) Guild died in December of 1936. Helen and Mary Guild continued to live at 222 Commonwealth. Mary Guild died in December of 1958 and Helen Guild died in September of 1960. In her will, Helen Guild left 222 Commonwealth in trust for the benefit of Helen S. Boyle, a distant cousin with whom they shared the same great-grandfather, Solomon Loud. On April 26, 1961, 222 Commonwealth was purchased from the Guild estate by Dr. Robert Edward Crozier, a physician with the Lahey Clinic specializing in gastroenterology, and his wife, Mary Elizabeth (Clayton) Crozier, a journalist and media consultant. Mary Crozier was one of the five members of the Back Bay Architectural Commission appointed when it was formed in 1967. They previously had lived in an apartment at 14 Hereford. 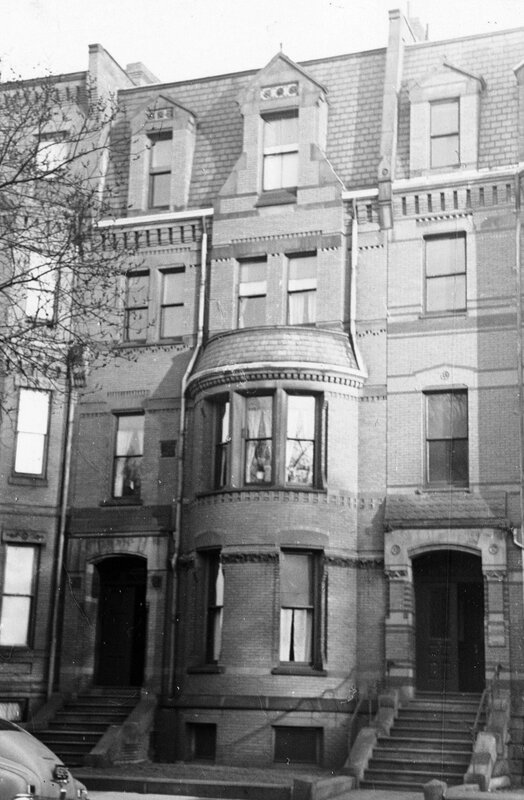 In August of 1961, Dr. Crozier filed for (and subsequently received) permission to convert the property from a single-family dwelling into three apartments, one of which became the Croziers’ home. 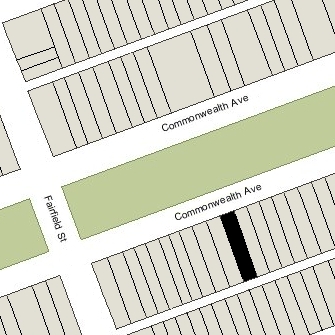 222 Commonwealth was assessed as a four- to six-family dwelling in 2016.